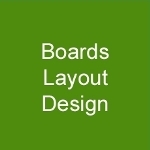 Elinktron Technology has specialized in designing high performance backplanes of all flavors, be they standard per PICMG® or VITA®, or custom defined, for military, medical or telecom. 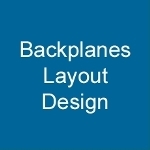 One of our most acclaimed talent is to design highly complex active backplanes, where active circuitry, like PCIe switches or Ethernet processors are hosted by the backplane itself.See more. Date rates reaching 10Gbps, high-count fine-pitch BGAs, thousands of components densely placed on high layer-count boards are daily business for us. We do this for many years with great success and we gained a tremendous experience. And be sure that the schematic that you will provide will be carefully checked such that no error will propagate in the layout. See more. Starting from a wish-list of features, or input and output definition, or from a high-level logic block diagram, we do the circuit design for you. We pick the best components available in the market and work with you to optimize the overall cost. You can rest assured that your application will benefit from our engineering talent and experience.See more. 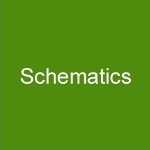 We know that behind the schematic and the layout must exist an error-proof component's library. We also know that each and every component must be perfectly created and double checked before use. We do all this and we verify each part for end of life status, availability and manufacturability. 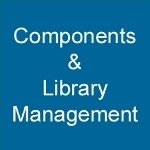 We organize and maintain libraries for you all in a complete service package. See more. Copyright © 2014 Elinktron Technology SRL. All Rights Reserved.